Posted by skyvu on Tuesday, February 19, 2019 in News. Quick Actions are listed to the left of the applications. Click Show More to view additional options. A new feature called Quick Actions is now available on the home screen in Oracle following the Oracle Cloud upgrade during the weekend of February 15-16. 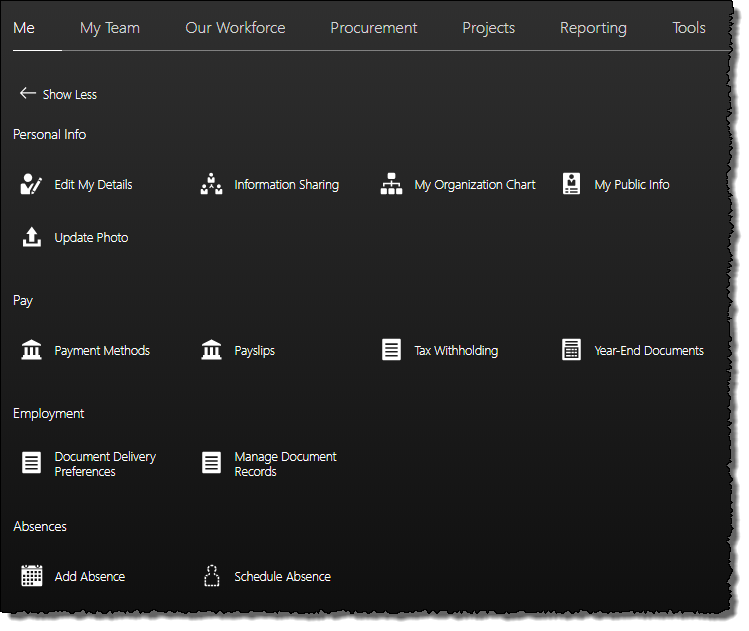 Many Employee, Manager and HCM activities that required selections from multiple menu options are now available with fewer clicks. A few quick actions are listed for each category of applications directly on the home screen. 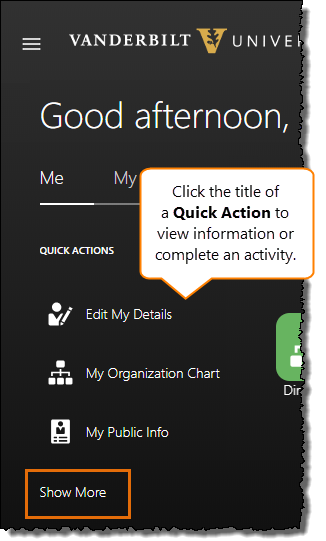 There are many more Quick Actions available, and you can view all of the available options by clicking Show More.